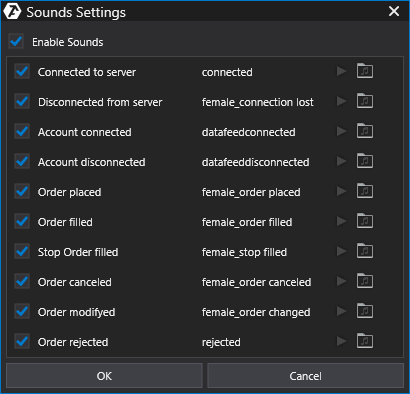 These settings are used to enable audio alerts upon the occurrence of any event in the platform: connection to/disconnection from the server, connection/disconnection of the trading account, events when working with orders. Set Enable Sounds checkbox, then, set checkboxes of the desired events. 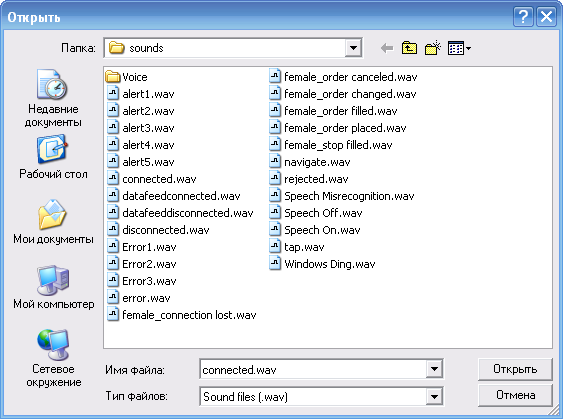 Left-click on the sound file icon. Select your desired audio file and double-click on it or select the file and click the Open button in this window. 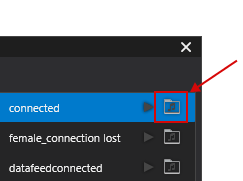 * You can also choose your audio files for a variety of events by adding them to the Sounds folder.